Keen Property and Casualty Insurance Software (KPCIS) is robust with each click. We are fast tracked to becoming the premier global leader for Smart Software Solutions, allowing personal and commercial lines the flexibility in customization and system setups. 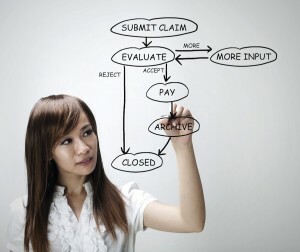 Our state of the art digital imaging for claims and agreements, easy data input, processing options for forms and tasks, reporting tools, strategic adjusters, payment management, modified fraud and leakage protection software tools and features provide truly optimized and intelligent business solutions. The efficiency and effectiveness of our automated software is clear and simple, reducing claims processing time and improving the management of compliance requirements related to complicated cases. Keen guarantees users fully customizable resources and support for Auto, Home, Employee and Specialty Lines. We have seamlessly integrated policies, state regulatory guidelines, ratings, risk management, ready claims data, quoting, reinsurance, financial options and check writing elements that equip managers, agents and handlers with an ultimate organizational system and flow. This system provides complete and easy access to all applications and features as well as the ability to submit and share any form of authorized data via internet web based tools and intranet shared information lines. Smart Share allows users to modify any set number of Smart Hub setups, to also collaborate and enter data for tasks, claims and claimant documents. Forms can be shared between groups with cataloged records, removing the re-entry of lengthy data.